1 oversized bedroom with French doors to balcony and an additional full bath as well as a 2nd office. The third level features a walk up attic with gym. This beautiful estate holds significant history dating back to Joe Lewis training in the 3rd level gym. The property has an 8 car heated and air conditioned garage, Gunite pool and a heated Pool House with a full bath and tennis court. Too many features to list must see this magnificent estate to appreciate. 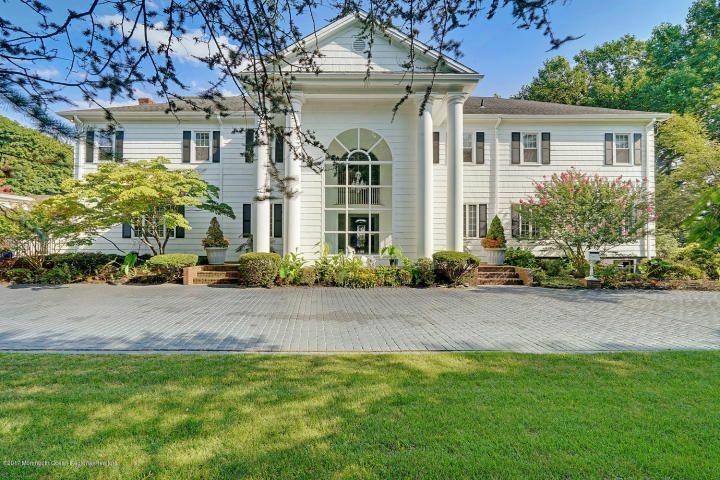 Too much history to pass up this rare opportunity to own 6.25 acres in Rumson!